Bar/Bat Mitzvah means “son/daughter of the commandment.” It is the moment when a young person takes on the commitments, privileges and obligations of responsible Jewish living. As a small congregation, we are able to make each young adult’s Bar and Bat Mitzvah an occasion of meaning, emphasizing the Jewish values of learning (Torah), worship (avodah) and deeds of loving kindness (gemilut chasadim). We believe that B’nei Mitzvah is an important event for the entire family and the Congregation. We welcome and encourage our families to take this important journey with their children, including interfaith families, single parent families as well as families in the LGBTQ community. We also believe that each class of young people who become Bar/Bat Mitzvah form their own community. We strongly encourage each young adult to invite their entire religious school class to the celebration. We have found that the bonds formed through this process encourage the continuation of learning through our post-b’nei mitzvah Confirmation program and BESTY youth group, enhancing the ongoing Jewish life and involvement of our teenagers. Our students do a number of things in preparation for becoming Bar/Bat Mitzvah – all of which prepare them for a future life of Jewish involvement and commitment. Learning Our students are required to attend Religious School for at least two full years in advance of becoming Bar/Bat Mitzvah. This helps them to have the foundation of knowledge that is necessary, and enables them to feel a part of the community. Students and parents participate in family learning programs over the course of the year of Bar/Bat Mitzvah. 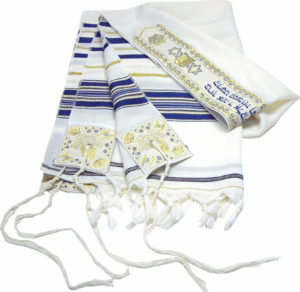 These learning programs deal with topics such as the meaning of Bar/Bat Mitzvah, understanding the prayers, the importance of tallit and kippah and the Jewish way to celebrate. Nine months in advance of the Bar/Bat Mitzvah, each student begins to study individually with our B’nei Mitzvah tutors, Rudina Richter and Michael Lubin. Our students chant Torah and either read or chant Haftarah, along with leading the Shabbat service and delivering a d’var torah (an explanation of the Torah portion). We strive to teach them not simply the words they will need to say at the Bar/Bat Mitzvah service, but life long Jewish skills. Each Bar/Bat Mitzvah service is not the same. Our goal is to have each student learn what he or she is maximally capable to learn. As students are different, so too the material they learn will be different. We believe that every child is capable of becoming Bar/Bat Mitzvah, including children with disabilities and special needs. Interested in a Bar or Bat Mitzvah and never had a chance as a 13 year old? Contact Rabbi Bryan for more information and to indicate your interest in beginning this program.